For this weeks assignment we were to use the Halloween and Fall Treat Cup Cards. I chose to use the Bat. I thought that the bat was too cute and I love the sentiments that come with the set as well. 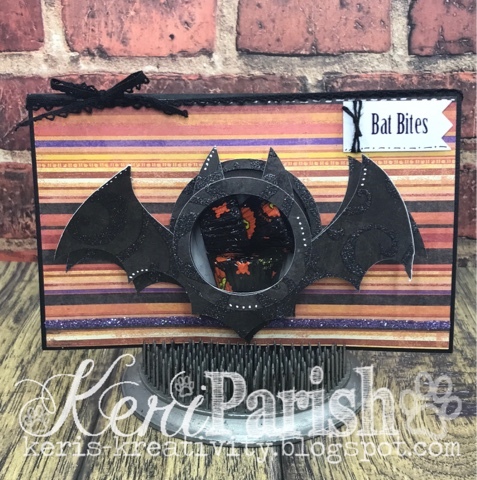 I cut the bat out of glitter cardstock and layered him on the Halloween striped pattern sheet and then added a purple layer of glitter at the bottom.